The SCHMIDT ® P8127 is a short ceramic medium capless rollerball refill that is part of SCHMIDT® Innovative Capless System. It has a metal tube and front section, a stainless tip and 0.7mm ceramic ball. 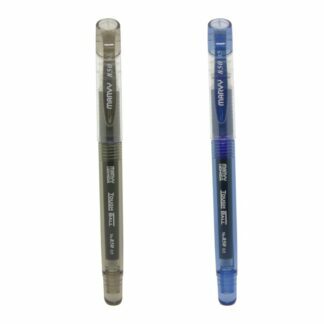 This refill combines the individual writing characteristics of a fountain pen with the convenience of a ballpoint pen. 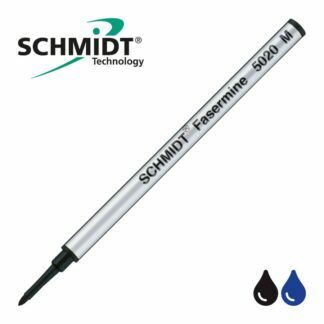 A liquid fast-drying ink that flows instantly, even after a long pause in writing, with regular, strong, precise and clean lines. 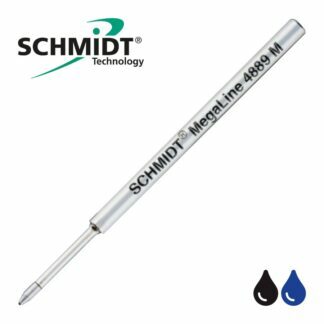 A 0.7mm ceramic ball and Stainless Steel tip, for strength, longevity and consistency in performance. Less writing pressure, with a more vivid, elegant and smooth writing experience that glides over paper more easily than any other writing systems. Acme, Aurora, Baron Fig Squire, Bexley, Cartier, Colibri, Conklin, Delta, Diplomat, Faber-Castell, Foray, Hauser, Hugo Boss, Itolya, Karas Kustoms EDK, Kaweco Sport, Krone, Lamy, Montegrappa, Monteverde USA, Nova Minimal Pen, Omas, Pelikan, Retro 1951, Sensa, Visconti, Waterford. Please note: These Schmidt P8127 refills are not the same size as the S8127 or mini 8126 that are also part of the SCHMIDT® Innovative Capless System.